servicesBUROCCO INDUSTRIAL VALVES S.r.l. | BUROCCO INDUSTRIAL VALVES S.r.l. Service is an important part of the Burocco quality concept. When you choose Burocco valves you will get products designed for trouble-free operation. However, it’s still important to carry out regular inspections in order to ensure proper operation. Our service department is at your disposal! We will directly and promptly reply to your enquiries about repairs, spare parts or maintenance kits. We guarantee over time the availability of spare parts for valves Burocco. 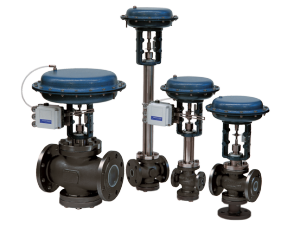 Together with your valve serial number we save all the relevant data which is important to you. If you require spare parts or maintenance kits we are able to make the necessary single parts or maintenance kits available to you as soon as possible up to many years after purchase of the valve. Burocco is part of the process from beginning to end. The skill and experience of our engineers ensures that you will get your valve back in brand-new condition.